Editor’s Note: This analysis is part of The Leonard D. Schaeffer Initiative for Innovation in Health Policy, which is a partnership between the Center for Health Policy at Brookings and the USC Schaeffer Center for Health Policy & Economics. The Initiative aims to inform the national health care debate with rigorous, evidence-based analysis leading to practical recommendations using the collaborative strengths of USC and Brookings. This article originally appeared in Health Affairs on April 27, 2017. Everyone seems to agree: Drug prices are too damn high. Scandalous prices for new drugs and enormous price hikes on old drugs have focused public ire on the pharmaceutical industry. A bipartisan consensus has emerged that something must be done to tackle drug prices. There’s less consensus, however, about what that something ought to be. Allowing Medicare to negotiate drug prices is one popular possibility; outright price controls are also under discussion. But with Republicans in control of both Congress and the White House, neither appears to be on the policy agenda. But one market-friendly alternative, “value-based pricing,” may hold more promise. Many different groups—from drug companies to patient advocates to policy shops—would like to pivot away from a pricing model that links sales revenue to volume. Instead, they would like to explore paying for prescription drugs based on how well they work. 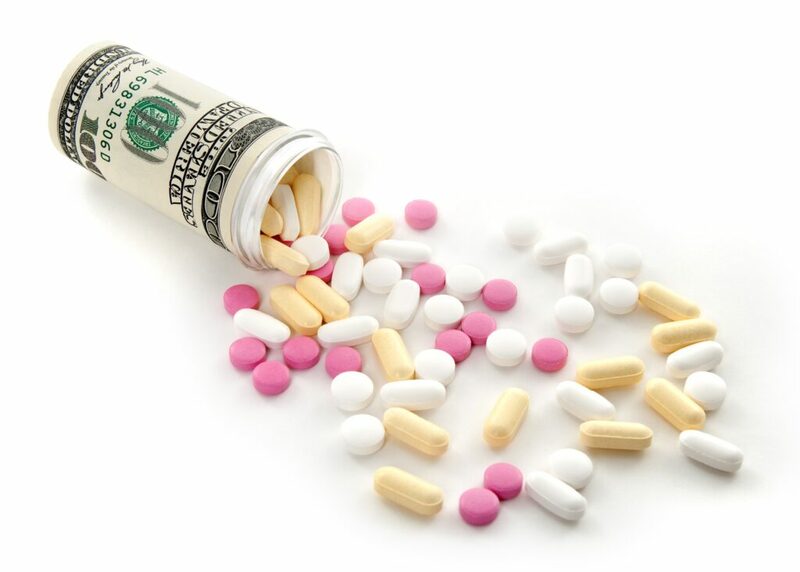 In principle, pharmaceutical companies appear open to novel pricing arrangements. Some have even signed outcome-based pricing contracts with insurers. In general, however, the industry has held back, arguing that government regulations—and, in particular, Medicaid’s best-price rule—are obstacles to value-based pricing. What is the best-price rule? Does it really impede the adoption of value-based pricing? If so, what can be done about it? To keep federal spending in check, state Medicaid programs never pay full price for a drug. By statute, they receive rebates worth about one-quarter of a drug’s average manufacturer price. But if a manufacturer chooses to sell the drug to someone else for less than the rebated amount, Medicaid will only pay that “best price.” It’s a guarantee that Medicaid can buy the drug at the cheapest price that the manufacturer can afford to sell it. Now consider outcome-based pricing, in which manufacturers get paid less when their drugs perform poorly. A manufacturer, for example, might agree to pay a $75 rebate on a $100 drug that fails to work for a particular patient. If it did, however, $25 would now be the drug’s “best price.” Every Medicaid program would be legally entitled to that price, decimating the manufacturer’s revenue from Medicaid. That’s why the pharmaceutical industry complains that the best-price rule impedes outcome-based pricing. Its objection is accurate so far as it goes, but it ignores a technique that drug companies and insurers could use to contract around the best-price rule. Instead of granting a rebate if a drug fails to work for a particular patient, manufacturers can offer a rebate based on the performance of the drug across a patient population. To return to the earlier example, a drug manufacturer might sell a drug for $100 but offer a $75 rebate per patient for whom the drug doesn’t work, based on the drug’s performance across 1,000 patients. If the drug is 75 percent effective, the average price for the drugs sold to the 1,000 patients would be north of $80, high enough not to trigger the best-price rule. Indeed, the fact that drug companies have begun to enter into some of these contracts suggests that companies may already be doing some weighted average pricing. Even so, tremendous uncertainty remains. In a rule, the Centers for Medicare and Medicaid Services (CMS) has said that best price must be determined on a “unit basis.” Depending on what CMS understands the term to mean, the unit-basis rule may thwart efforts to contract around the best-price rule. At the same time, however, CMS has the authority to change its rule. The statute itself does not contain any unit-basis requirement, meaning that it could be amended to encourage outcome-based pricing arrangements. In our view, the change in administration is an opportune moment for CMS to assume a leadership role with respect to value-based pricing. The current system for pricing drugs is unsustainable, both for patients and for the pharmaceutical industry itself. Value-based pricing and particularly outcome-based pricing may not be the answers, but they are well worth exploring. They will reward companies that make truly innovative products without undermining the incentives that enable innovation. Indeed, CMS has already taken steps in the right direction. In a July 2016 program notice, CMS expressed concern about the relationship between the best-price rule and value-based contracts, and it encouraged drug manufacturers to seek the agency’s guidance on whether and how their value-based purchasing arrangements implicate the best-price rule. More guidance on the subject is urgently needed. But CMS can go further. Through Medicare and Medicaid, the federal government provides health insurance to more than 100 million Americans. If CMS were to encourage Part D health plans to enter into their own value-based contracts, other private insurers might follow their lead. CMS could also encourage Medicare Advantage plans and state Medicaid programs to do the same. (By statute, selling a drug at a low price to Part D plans, including through Medicare Advantage, does not trigger the best-price rule, giving drug manufacturers more flexibility on their pricing.) When it comes to paying for traditional health-care services, CMS has said that it hopes to jettison most of its fee-for-service payments in favor of value-based alternatives. It is time for CMS to pay for drugs on the basis of value as well. Moving to value-based pricing will not be easy. Even apart from the best-price rule, substantial obstacles remain. Solid data on the real-world performance of drugs in subpopulations or off-label uses are often lacking. The anti-kickback statute will complicate rebate agreements with Medicare and Medicaid. And implementing and monitoring complex contractual arrangements will require large, ongoing investments, including the adoption of robust information technology systems that can link patient outcomes with drug prices. The new administration has so far failed to embrace value-based pricing. Yet, we believe it may represent an opportunity for both parties. For Republicans, value-based pricing shifts the focus of health reform to market-oriented solutions. For Democrats, it protects the interests of patients and consumers by ensuring they get value from their hard-earned health care investments. Breaking through the impasse on this issue remains essential, because CMS is in the best position to help overcome the obstacles to market-based solutions. Legal obstacles to value-based pricing, including the Medicaid best-price rule, create uncertainty for pharmaceutical companies and insurers but need not categorically bar innovative contracting arrangements. CMS has the power to move the nation toward a more rational pricing model. In a time of growing anger over high drug prices, it should not hesitate to exercise that power. Authors’ Note This work was supported by the Leonard D. Schaeffer Initiative for Innovation in Health Policy, a partnership between the Center for Health Policy at Brookings and the USC Schaeffer Center for Health Policy and Economics. The Initiative aims to inform the national health care debate with rigorous, evidence-based analysis leading to practical recommendations using the collaborative strengths of USC and Brookings. Dr. Lakdawalla is the chief scientific officer and holds equity in Precision Health Economics, which provides research and consulting services to firms in the life sciences and health insurance industries, including several firms whose products are mentioned directly or indirectly in this research article (Keytruda, Merck; Avastin, Genentech; Colcrys, Takeda; Viagra and Revatio, Pfizer; Repatha and Enbrel, Amgen; Entresto, Novartis; Forteo, Lilly; novel hepatitis C treatments, Gilead, AbbVie, and BMS). None of Precision Health Economics’ clients provided funding to support this study or reviewed its contents at any time. Rachel Sachs, JD, MPH, is an Associate Professor of Law at Washington University in St. Louis, where her work explores the interaction of intellectual property law, food and drug regulation, and health law. Nicholas Bagley is an assistant professor of law at the University of Michigan Law School. Darius Lakdawalla is the Quintiles Chair in Pharmaceutical Development and Regulatory Innovation in the School of Pharmacy at the University of Southern California (USC). He is also a Professor of Public Policy in the Sol Price School of Public Policy and serves as a faculty member at the Leonard D. Schaeffer Center for Health Policy and Economics at USC.